If you reside in the US state of Maryland then you can find plenty to be proud of -- the Chesapeake Bay is home to great seafood, including the famous Maryland Blue Crab. Francis Scott Key wrote the Star Spangled Banner from a ship during a battle in Baltimore Harbor. 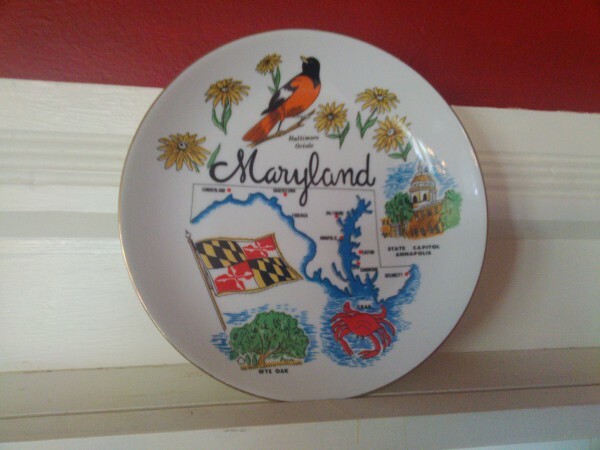 Of course, there's the sports teams like the Ravens and Orioles. But one thing the state tries not to neglect is its history of farming. A vast majority of the state is rural and is home to agriculture, horses and cattle. The state has instituted a Farm Preservation policy to preserve these lands for future generations and even car license plates have been dedicated to the cause. Now Microsoft is stepping in to help out one particular county -- Montgomery, which is located west of the Chesapeake Bay. The company is using its CityNext program to test innovations on four farms within the county. "Built on our Microsoft Azure cloud platform, the testbed will rely on the expertise of our DX team to provide the high-level architecture and software to collect and analyze data from sensors that will be installed on the four Montgomery County farms participating in the project", says Jeff Friedman of Microsoft. The company is working with the University of Maryland on this infrastructure, which includes IoT Dev Labs, FiberTower and Link Labs to help the sensors wirelessly connect and there are several companies who are providing the hardware to make all of this work. Microsoft developer David Makogon adds "While we have all these devices that are capable of sending their information, reporting what their readings are -- somewhere you need to store this information. I’m helping set up the data model and building interfaces to databases". It's a major undertaking and also the reason only four farms are currently involved. The company will need to do a lot of research and work to perfect this system. However, when it's all done, the sensors should begin providing important data, such as moisture content in the soil, weather models for precipitation and much more. All things that are the lifeblood of these farms.